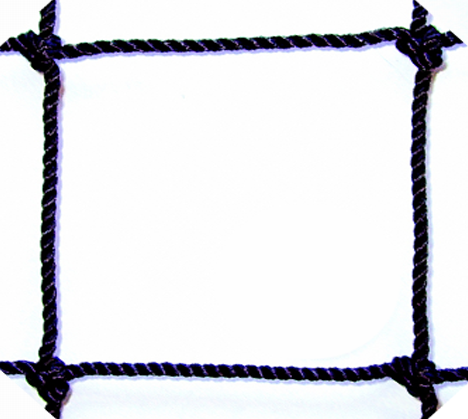 Typical uses for #30 x 3/4″ Mesh netting are: Baseball Batting Cages, Baseball Impact Netting, Softball, Soccer, Hockey Barrier (NOT impact), Football, Basketball Barrier, Debris, Aviary, and General Multi-Purpose Applications. *Under 200 sq. ft. – $1.08/sq. ft.
*200- 499 sq. 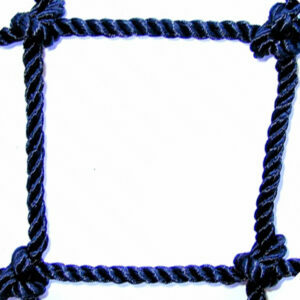 ft. – $0.98/sq. ft.
*500 sq. ft. and above – $0.88/sq. 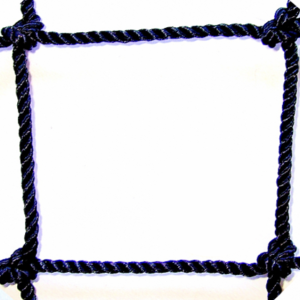 ft.
One strand of #30 twine has a (tensile) breaking strength of 216 lbs. and a knot breaking strength of 280 lbs. 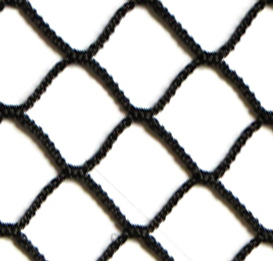 Typical uses for #30 x 1-3/4″ Mesh netting are: Baseball Batting Cages, Baseball Impact Netting, Softball, Soccer, Hockey Barrier (NOT impact), Football, Basketball Barrier, Debris, Aviary, and General Multi-Purpose Applications. .05 lbs / sq. ft.